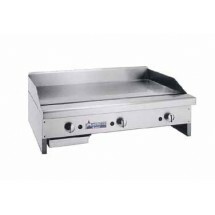 Countertop griddles are found in high volume restaurants that need to handle large amounts of freshly cooked food at once. 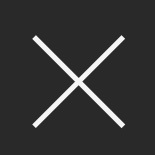 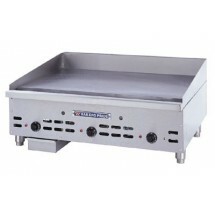 Shop for electric griddles and gas countertop griddles for making sausages, scrambled eggs, pancakes and more favorite foods from the griddle for sandwich shops, grill bars, diners and other fast food restaurants. 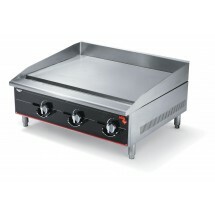 American Range ARTY-60 Teppan-Yaki Griddle Japanese Style Griddle 60" Sold As: 1 ea You're pre-approved for a cash advance! 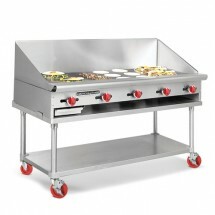 Star 624TCHSF Star-Max 24" Gas Chrome Griddle with Thermostat Controls and Safety Pilot Sold As: 1 ea You're pre-approved for a cash advance! 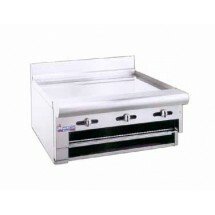 American Range ARGB-48 48" W Raised Gas Griddle / Broiler Counter Model Sold As: 1 ea You're pre-approved for a cash advance! American Range ARMG-72 72" W Manual Gas Griddle ??" 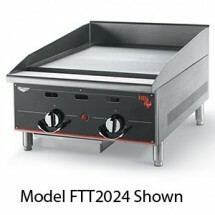 Thick Griddle Plate Sold As: 1 ea You're pre-approved for a cash advance! 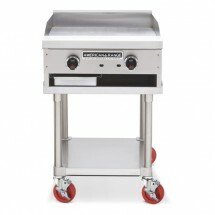 American Range AEMG-72 72" W Gas Griddle Counter Unit with 4 Legs Sold As: 1 ea You're pre-approved for a cash advance! 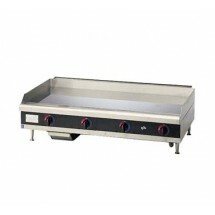 Imperial RGB-48 48" Countertop Gas Griddle / Overfired Broiler Sold As: 1 ea You're pre-approved for a cash advance! 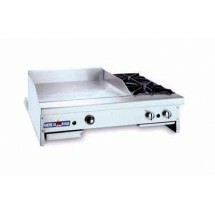 American Range ARMG-172 72" W Gas Griddle Counter Unit 1" Thick Griddle Plate Sold As: 1 ea You're pre-approved for a cash advance! 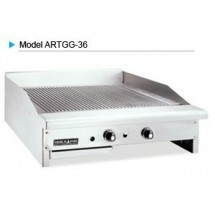 American Range ARTG-60 Thermostatically Controlled 60" W ?" 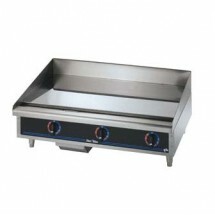 Thick Gas Griddle Hotplate Counter Unit Sold As: 1 ea You're pre-approved for a cash advance! 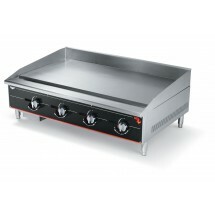 American Range AETG-60 Thermostatically Controlled 60" W Gas Griddle Count Unit with 4 Legs Sold As: 1 ea You're pre-approved for a cash advance! 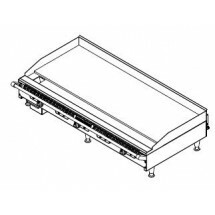 American Range AR72-60G2OB Gas Griddle / Hotplate 72" Wide with 2 Burners Sold As: 1 ea You're pre-approved for a cash advance! 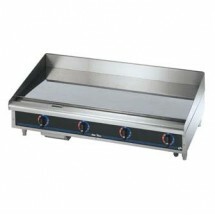 Star 536CHSF Star-Max 36" Electric Chrome Griddle with Thermostat Controls Sold As: 1 ea You're pre-approved for a cash advance! 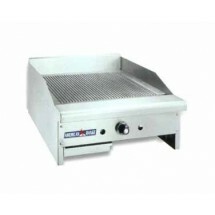 Star 648TSPF Star-Max 48" Gas Steel Griddle with Thermostat Controls Sold As: 1 ea You're pre-approved for a cash advance! 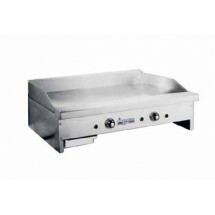 American Range ARTG-160 Thermostatically Controlled 60" W 1" Thick Gas Griddle Hotplate Counter Unit Sold As: 1 ea You're pre-approved for a cash advance! Star 848MA Ultra-Max 48" Countertop Gas Griddle with Manual Controls Sold As: 1 ea You're pre-approved for a cash advance! 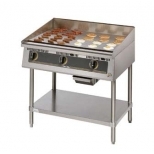 Star 836TA Ultra-Max 36" Countertop Gas Griddle with Throttling Thermostatic Controls Sold As: 1 ea You're pre-approved for a cash advance! 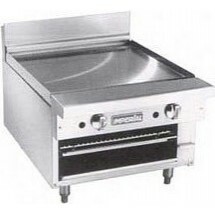 American Range ARTGG-36 Thermostatic Controlled 36" W Gas Grooved Griddle Sold As: 1 ea You're pre-approved for a cash advance! 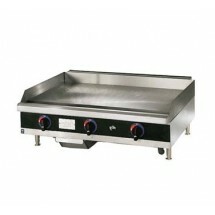 American Range ARTG-36 Thermostatically Controlled 36" W ?" 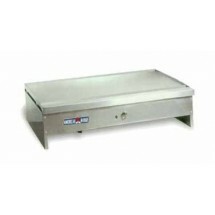 Thick Gas Griddle Hotplate Counter Unit Sold As: 1 ea You're pre-approved for a cash advance! 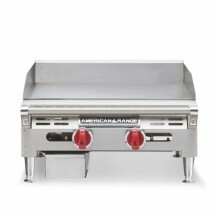 American Range ARTG-72 Thermostatically Controlled 72" W ?" 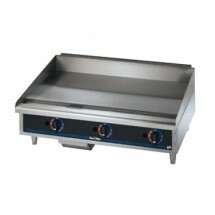 Thick Gas Griddle Hotplate Counter Unit Sold As: 1 ea You're pre-approved for a cash advance! 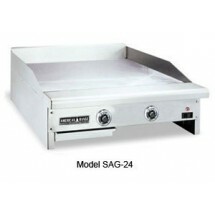 American Range AETG-72 Thermostatically Controlled 72" W Gas Griddle Count Unit with 4 Legs Sold As: 1 ea You're pre-approved for a cash advance! 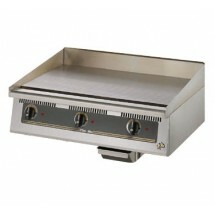 American Range SAG-36 36" W Thermostatic Gas Griddle Counter Unit Sold As: 1 ea You're pre-approved for a cash advance! 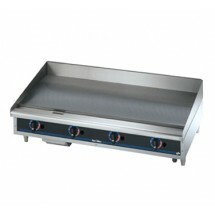 American Range CTG-48 48" Custom Size Gas Griddle Sold As: 1 ea You're pre-approved for a cash advance! 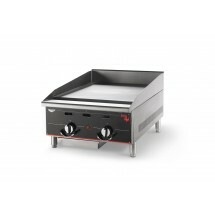 Star 736TA Ultra-Max 36" Countertop Electric Griddle with Snap Action Thermostatic Controls Sold As: 1 ea You're pre-approved for a cash advance! 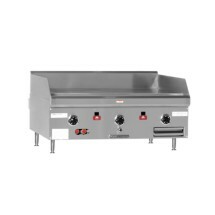 Vollrath 936GGT Cayenne Heavy Duty Countertop Griddle with Thermostatic Controls 36" Sold As: 1 ea You're pre-approved for a cash advance! 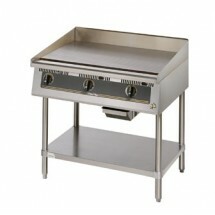 Southbend HDG-36 HD 36"W Counter Model Gas Griddle Sold As: 1 ea You're pre-approved for a cash advance! 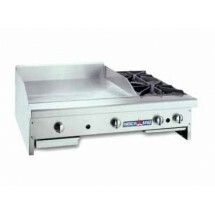 American Range AR84-72G2OB Gas Griddle / Hotplate 84" Wide Counter Unit with 2 Burners Sold As: 1 ea You're pre-approved for a cash advance! 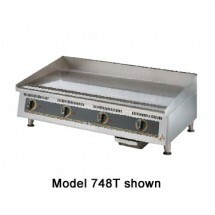 American Range AR72-60TG2OB Thermostatically Controlled 72" Wide Gas Griddle / Hotplate with 2 Burners Sold As: 1 ea You're pre-approved for a cash advance! 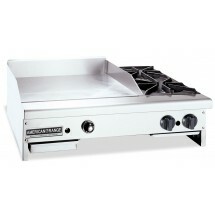 American Range ARGB-60 60" W Raised Gas Griddle / Broiler Counter Model Sold As: 1 ea You're pre-approved for a cash advance! 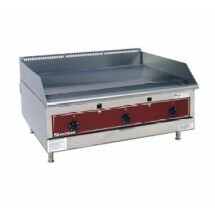 American Range ARTY-72 Teppan-Yaki Griddle Japanese Style Griddle 72" Sold As: 1 ea You're pre-approved for a cash advance! 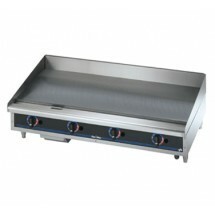 Southbend HDG-48 HD 48"W Counter Model Gas Griddle Sold As: 1 ea You're pre-approved for a cash advance! 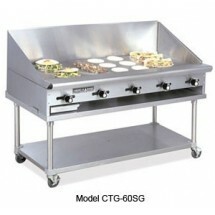 American Range CTG-60 60" Custom Size Gas Griddle Sold As: 1 ea You're pre-approved for a cash advance! 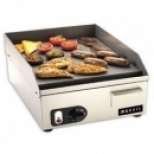 Star 548CHSF Star-Max 48" Electric Chrome Griddle with Thermostat Controls Sold As: 1 ea You're pre-approved for a cash advance!